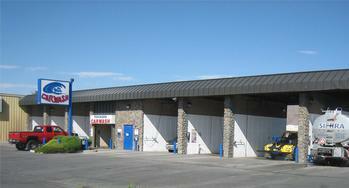 With over 25 years experience The Wave Carwash is one of the best Self-Serve car wash companies in the Reno and Sparks, Nevada area. All are open 24 hours a day, 7 days a week. We feature Touch-Free Automatics, Touchfree and Soft-Touch Automatics at our Prater location, Self-Serve Bays, and Vacuums, providing complete service in a bright, clean, secure environment. Our Washcard system provides discount pre-paid WashCards - no more hassles with change machines or fumbling for correct change. Check out the many benefits of owning your own WashCard. NOW OPEN. Our new location. New Sparks Location. Corner of 1201 E. Prater Way and Parlantii Lane. Try our new Self Serve Dryers at our Longley location.